Ha, that title might get you beer drinkers to read this. 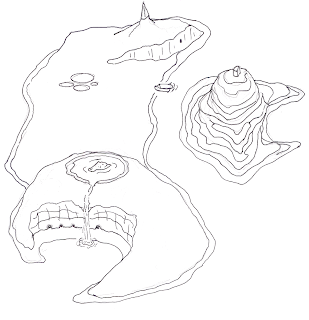 But this is really about a draft of the animal Island I've had in my mind for a couple weeks now. Started with a sketch, scanned it in, and digitally moved some stuff around (mostly to make more room). Starting from the south is a dormant volcano with a crater lake (earthquakes?). North of that I imagined as savannah-like flat land (not too worried about geographic realism here). Then some geysers and hot springs. Then the land rises again. 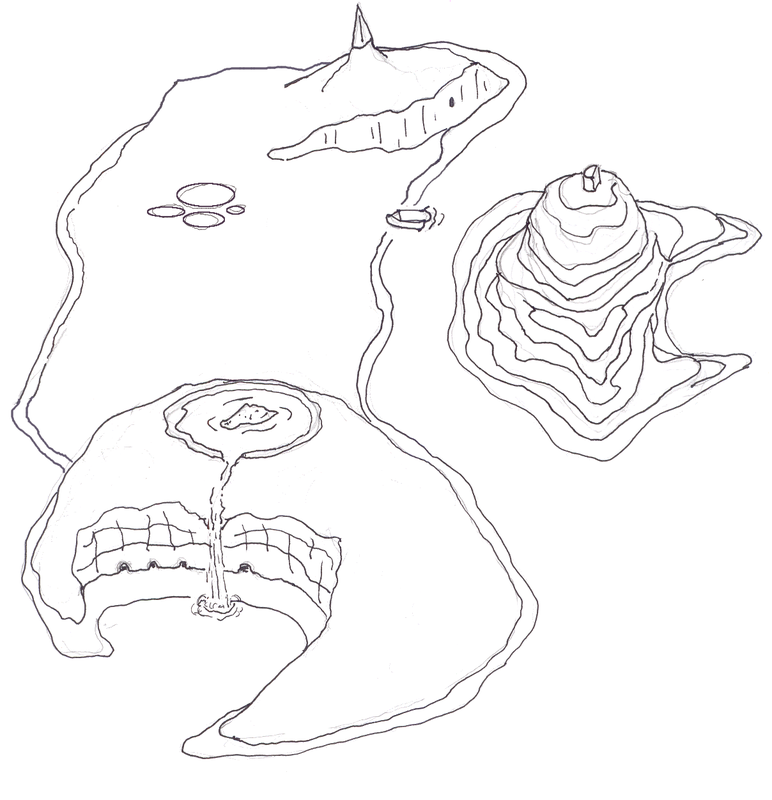 there is a mysterious megalith which may be the remnant of an island hopping empire and may point to other megaliths. The second island is terraced. The top holds the now empty home of a Teratomest, a combiner of beasts. When he died/disappeared/was kidnapped his loyal assistant decided to build an ark to shuttle the captive animals to freedom on some distant mainland. And when the ark was launched . . . it wrecked on the shore of the island next door. The poor assistant now lives as a shy hermit on that bigger island. Wonderful map. I love the 3D effect. And "megalith" is just the word I was looking for this morning. Ha! Awesome. I especially like the waterfall. Starting from the south is a dormant volcano with a crater lake (earthquakes?). Error! It is in truth a giant fossilized croissant that has fallen through from the Moebius-illustrated macroverse one dimension up. The 'approaching bird' view is a nice stylistic choice. Hah! My brother called it a croissant too. I guess it is now officially Croissant Cove.